Plus get TWO Meathead workouts for FREE, including the advanced 3-day fat burning, muscle building program  TT for Reformed Meatheads - all while saving over 75% off the regular price. But hurry, this sale ends This Week! a leaner, stronger, more ripped body. As you already know, most traditional bodybuilding workout programs recommend you train one body part for up to 90 minutes, 5 to 6 days a week… in a smelly gym (okay so I added the smelly part, but it might be true). … your tireless dedication is rewarded with a greater chance of suffering an overuse injury. And that leads to one thing…little if any additional mass. But I have good news. You see, the TRUTH is that you really only need to lift 3-4 times a week to pack on muscle. With 3 to 4 off-days built into your program, the Turbulence Training Meathead System gives your body the rest it desperately needs to repair damaged muscle tissue and lighten the stress load on your joints - both of which are essential for preventing needless injuries and building muscle. But you also gain one more HUGE advantage with the TT for Meatheads System - more free time to do whatever you want and all without jeopardizing muscle loss. 1. Increase exercise intensity, decrease exercise frequency. Despite your first instinct to exercise more, what you really need to do is workout harder, but fewer times per week. That’s why with the Meathead System you only have 3 or 4 muscle-building workouts per week rather than the typical 6 you might be used to. Plus, instead of following out-dated muscle-building methods like training a single body part per workout, we use a much more effective upper body/lower body split routine. This decreases the likelihood of you getting injured, while still delivering the same muscle size you’re after. 2. Do as little cardio as possible. Actually, if you want to gain as much muscle as you possibly can, then don’t do any traditional cardio at all - you’ll still maintain your cardiovascular health by combining heavy lifting with moderate rest intervals. But if you absolutely must do cardio, then only do three light cardio workouts for 20 minutes total. That’s it. Remember, you’re interested in how to gain muscle fast, not in how to burn a lot of calories. Also, a diet full of healthy vitamins and nutrients is a key factor in good cardiovascular health. So don’t use your goal of gaining mass as permission to eat unhealthy foods. 3. Include extra liquid calories. Your diet should also include extra liquid calories to ensure you get all the protein and carbohydrates you need to build muscle. So, if you find you’re having a hard time gaining muscle, then try adding more milk and yogurt to your diet (if your stomach can handle it). This is one of the simplest ways to gain muscle fast through nutrition. A year after I discovered it was possible to gain muscle and burn fat simultaneously (through my own personal workouts back in my early twenties), I became the lead strength coach in a Purdue University research study examining the effects of protein and creatine on resistance training in young men. In the Purdue study, published back in 2007, several subjects were able to decrease their body fat percentage while increasing their muscle mass. And while the study was done using younger test subjects, the bodysculpting, muscle gaining benefits are still applicable to men and women all the way into their 60’s. These results echoed my earlier discovery and confirmed my belief that both nutrition and intensity play a huge role in helping you build mass while burning fat. 1. Do intense resistance training 3 times per week. Stick to multi-muscle exercises and lift using heavier resistance, rather than doing 4-5 exercises per body part. With just a few basic, compound exercises, you'll get a powerful muscle pump and finish the resistance training portion of the workout in just 20 minutes. 2. Include interval training into your workout program. With TT Reformed Meatheads, your workouts include short burst intervals to help you burn a ton of calories long after you’ve left the gym. This is your fat-burning secret. 3. Focus on fat loss nutrition. Reduce your refined sugar consumption, increase your fiber intake, and eat more whole, natural foods. Not only are these foods more filling and satisfying, they’re also full of vitamins and nutrients essential to helping your body recover quickly from workouts. And a quicker recovery means you’re able to up the intensity of your workouts and power your way to even faster results. Simply put, there is no easier, faster, or healthier way to gain muscle and burn fat than to follow the 3 proven tips I’ve listed above. So whether it’s mass, fat loss, or both, the TT for Meatheads System is your complete guide to getting a ripped physique FAST. Grab it now and save over 75% off the regular price! Try the TT for Meatheads Workouts For 8 Full Weeks With A No-Risk, 100% Money Back Guarantee! 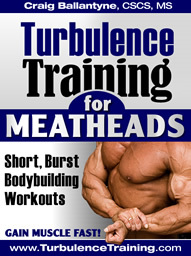 "Test drive" the Turbulence Training for Meatheads Workouts for the next 8 weeks with absolutely no risk so you can see for yourself how much muscle you can gain and fat you can lose. 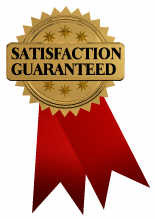 You are completely protected by our iron clad 100% money back guarantee. You will not only be satisfied, I guarantee you will be thrilled and amazed with the muscle-building program, or you can simply email me and ask for a prompt and courteous, no hassles, no questions asked, 100% refund. In fact, if you're not completely happy for any reason at all, then I insist that you ask for a refund. However, after seeing so many guys get lean and jacked while saying goodbye to those lame bodybuilding workouts, I'm totally confident that you're going to love these workouts too and you'll start seeing the best results of your life. PS - If you want workouts that get you ripped in just 4 short workouts a week, plus a 3-day program that promises to get you lean AND jacked for just $19.95 - a savings of OVER 75% off - then grab this special offer today. PPS - Your results are guaranteed by my 100% money back promise. If you aren't satisfied with your results from the program, just let us know and you'll be refunded your $19.95 before the end of the 60-day period. And no matter what you decide, you can keep ALL of the bonuses!